When it comes to pool design, Selective Designs is the best. 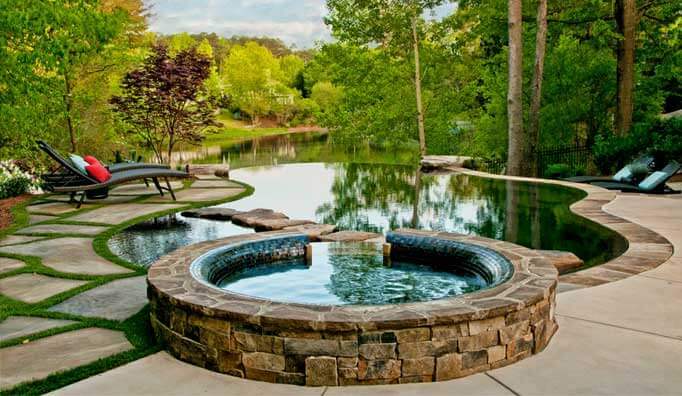 We are an award-winning company that uses an innovative, meticulous approach to planning beautiful pools and aquatic features for homes in Atlanta, GA and the surrounding areas. Taking inspiration from your outdoor surroundings, we will produce a design that looks as if it belongs in your environment. Whether you’re looking to install an infinity style pool or a simple aquatic feature, we’ve got you covered. We have the necessary training and artistic ability to help you achieve your dreams. Our high-caliber service and customizable aquatic plans will meet and exceed your expectations. We’ll assess your property to determine your specific needs and come up with a unique design and detailed plan of action. Whether you’re a “local” or have just moved to the area, we offer a number of aquatic design solutions to accommodate your particular goals. We offer luxury-style options to meet the diverse needs of our clients. Our creative minds enable us to surpass our clients’ expectations. No matter the budget, we can evaluate your needs and come up with a pool design that will blow your mind. To learn more about our company and our services, keep in touch by visiting our contact page.